Audio-Technica has unveiled a new headphone model that promises to deliver professional grade audio at a price everyone can afford. Designed to be used at home and on-the-go, the Audio-Technica MSR7 headphones come with soft memory foam earpads and a housing that has been designed to ensure the headphones fit around the user's ears snuggly. According to Audio-Technica, the headphones are packed with the latest in audio technology including 45mm “True Motion” hi-res audio drivers. They also come with a precision diaphragm and extra lightweight voice coils to improve audio response times, while reducing sound distortion. Another feature is the dual-layer air control technology. This, the company said, helps to extend the mid to low frequency sounds. In addition to the latest technology, the MSR7 also comes with cables to suit any situation you may find yourself in. As well as the standard 1.2 m cable, it also comes with a 1.2 meter in-line control cable and a microphone for use with smartphones and tablets. It even comes with a three meter cable specifically for indoor use. 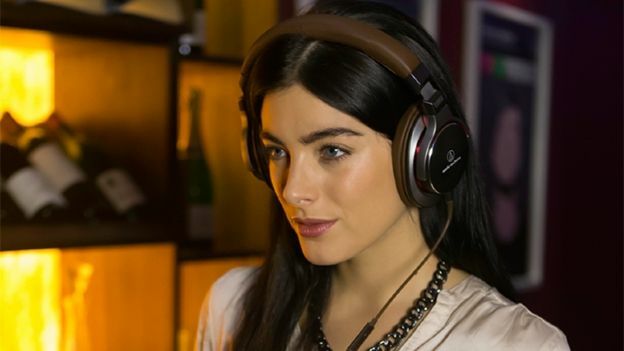 “Professional producers and artists have chosen Audio-Technica monitor headphones, such as the renowned million-selling M50 range, for our true reproduction of their work and we've strived to build these pro quality reference features into our mainstream headphones” states Robert Morgan-Males, Audio-Technica marketing director. The Audio-Technica MSR7 are priced at £199 and are available now in Gun Metal, Black and Red.